“I am a promise, I am a possibility.. I am a great big bundle of potentiality.” When I was young, we used to sing this song at Sunday School. As a parent, I look back at these simple lyrics and realize that us adults really should learn from this song. 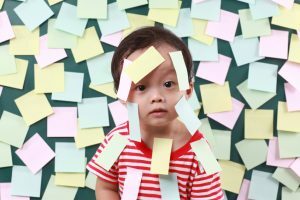 It seems that as time has gone on, we’ve increasingly became a society of labels, that really stunts the possibility hidden in each of our children. 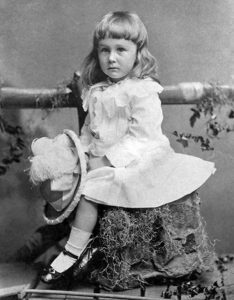 Future US President Franklin Roosevelt in a dress with long hair. Prior to the 1900’s, nearly all young children wore white dresses. Children often dressed this way with long hair until at least age 6-8. Although society was much less open and accepting back then, labeling and stereotyping children based upon color or style of clothes had not yet permeated into the culture. 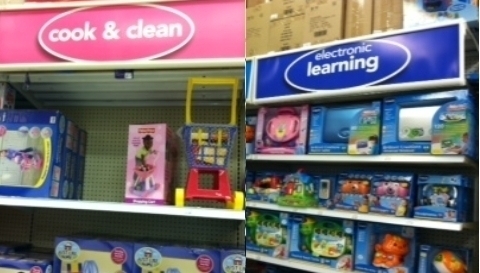 Things changed by the 1950’s when mass marketing led to a pronounced “pink for girls and blue for boys” stereotype in clothes, toys, and even room colors. There was a brief pause in this trend in the 1970’s, but by the 1980’s, all the toy stores had “pink aisles” and “blue aisles”, and you wouldn’t want to be caught dead in the “wrong aisle”. The trend continues to this day. These seemingly innocuous color trends also hid a much more important undertone of labeling that’s had a profound limiting effect on our children, and how they turn out as adults. Girls with dreams of careers in math, technology and science were told to instead seek after roles and careers that society pushed as “more suitable” for their gender. Boys, which had a lot more room to dream career wise, were harshly scorned for the wrong choice of color preference, clothing, or demeanor. At a young age, society began labeling the kids that didn’t fit the stereotypes as “tom boys” or “sissies”. In the last 20-30 years, sociey has came to acknowledge that there are more than just 3-4 types of people. We’ve added a whole string of letters (LGBTQ2IPAS) for people to describe themselves or others’ “sexuality”, each label complete with its own set of stereotypes for colors, clothing, and even entertainment preference. These labels, originally reserved for adults, have been added to the list that includes terms like “Jock”, “Geek”, “EMO”, etc, that school kids use to label each other. 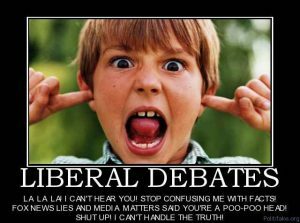 We all want the best for our children, but we must realize that people disengage their brains where labels are concerned. We just want to celebrate our kids and their accomplishments and may call them a “computer geek”, a “stud”, or any other label, but we must realize that this does not open up possibilities for our children. Labels of any kind potentially limit the breadth of our children’s journey through life. 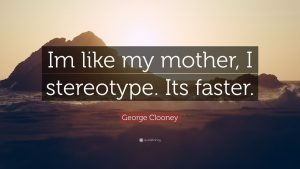 Where we see the positive, many people take the mental shortcut of stereotyping your child based on the labels they adopt. Yeah, they may be idiots, but it doesn’t prevent it from hampering your child. Imagine if you taught your kid they were a “real [conservative or liberal]”, with all with the best intentions. We know the connotations that come with that sort of a label. Imagine how limiting it’d be for their life experience to automatically have that label. 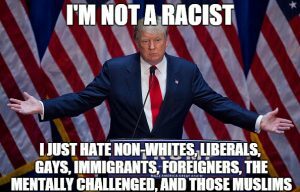 People from the other side of the political spectrum would automatically put up walls– certain topics would not be kosher to discuss, certain ideas would be best avoided. Your child would live their life with a limited experience from the “other side”, and likely feel pressured into believing ideas that kept true to their label. In a society full of labels, the last thing you want to do socially is to get yourself kicked out of the label you identify with. This pressure from both their group and the “others” works to help keep them nicely within that “real [conservative or liberal]” label we gave them. Children are fickle. Your child may decide they hate vegetables one week and they’re a vegan the next. This could be thoughts of their own, or thoughts spurred by a school assignment last week. 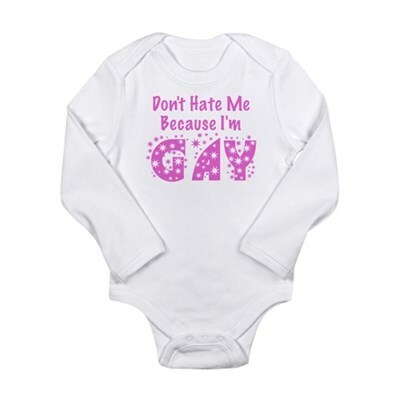 It’s great to support your children’s decisions and give them support for their own identity. Discourage them from labeling themselves and instead encourage them to get to know other people. Everyone’s different. Nobody perfectly fits into any label, but EVERYONE’s brain uses a label to shortcut the thinking process. Don’t fall into the trap of believing or pushing the lie of labels. Almost every label carries negative connotations for some people, and you really don’t want that baggage weighing your child down– in their mind or in their social experience. Be happy that they’re unique and support their dreams and goals. If you see your children labeling themselves, educate them on the downsides. Help them focus on being the type of person they want and need to be and to develop healthy relationships based on who they truly are. As parents we walk a thin like. We want them to have a great childhood and to grow up and be an awesome and successful human being. Some of their decisions we support, and some we cannot. We pick our battles and do what we can to gently push them along to maturity. If we keep a firm hold on reality, learn what really makes our kids tick, and avoid mental shortcuts like labels, we can raise “a great big bundle of potentiality”.